Since 65 years, H&S Group has been dedicated to transporting liquid foodstuff only in bulk. We believe we can offer our customers the best solution with a strong focus on quality and innovation. 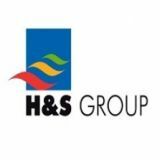 With a fleet of approximately 1.200 foodstuff only tank units, all operated within Europe and Russia, H&S Group is a leading service provider in this industry. As a multimodal operator we are specialist in road tanker transport as well as intermodal tank container services. With a network of own vehicles and dedicated co-makers over different hubs all over Europe and Russia, we provide European "foodstuff multimodal services".